For a number of years, players have had their preferences for Call of Duty's various modes. Some people couldn't give a lick about single-player and didn't understand why they have to pay for a campaign they didn't touch. Not everyone is going to like every part of a game, but Activision has traditionally been hesitant to split the games up and sell it in pieces, though they appear to be poking at the idea in an official capacity with Black Ops 4. Dubbed "The Battle Edition," the PC-only version of Black Ops 4 will be available with just the traditional multiplayer and Blackout modes. This means that the zombie content in the game is being left by the wayside, letting Activision sell the game on Battle.net for a discounted $30. The most obvious reason for this move is that it competes with other Battle Royale games sold for cheaper prices by making Blackout an actual competitor in both content and price. By letting Blackout compete directly with PUBG, Activision likely hopes to position themselves as the strongest option for a paid Battle Royale game rather than simply a mode in a larger title. While Black Ops 4 has no single-player campaign, it does raise the question of further games creating similar split SKUs, should single-player ever return to the series. 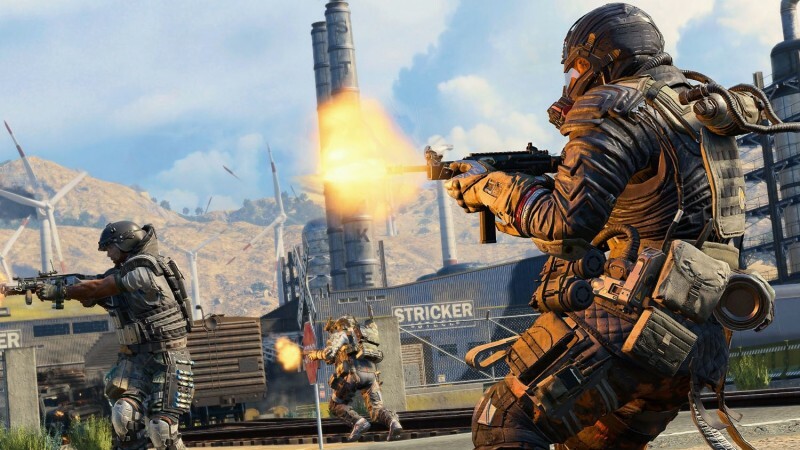 It probably depends on a number of factors, including but not limited to how well the Black Ops 4 split does and whether a hypothetical new campaign is good enough to stand on its own without multiplayer propping it up. You can read our review for Call of Duty: Black Ops 4 here. While the Battle Edition is only for PC, the game is also on PlayStation 4 and Xbox One.